In an age where hybrid tactics such as disinformation campaigns and cyber-attacks are becoming almost everyday events, the limitations of conventional military power have become evident. Through fake news, election interference and disinformation campaigns, perpetrators are exploiting the current state of polarisation and government mistrust in Western democracies. In Europe, numerous countries have experienced Russia’s hybrid aggressions, from its interference in the German and French elections and the illegal annexation of Crimea to its most recent use of an internationally banned nerve agent on British soil, all of this accompanied with continued cyberattacks and hostile propaganda. Most EU member states have strengthened their capabilities in the face of these threats. But with the EU parliamentary elections just around the corner, it is important to get a sharper sense on how prepared the EU is to counter these hybrid threats and improve its overall resilience. Friends of Europe wants to contribute to this conversation with its new discussion paper on hybrid and transnational threats. The paper includes perspectives and recommendations from a cross-sectoral range of actors in the field of hybrid threats and cybersecurity. This paper should serve as a toolkit to learn from previous experiences and to prepare for the upcoming challenges this new domain of warfare brings. 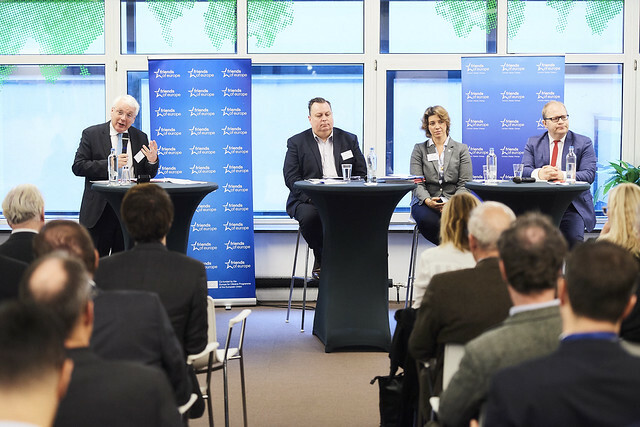 What capabilities and actions to counter hybrid threats are in the EU’s playbook in the face of the upcoming EU elections? How effective are they? What lessons can be learnt from previous disinformation campaigns and cyber attacks in elections across Europe? While hybrid warfare works by exploiting the polarisation of societies and the lack of trust in governments, what can be done at the EU level to restore trust in centrist politics? Thomas Myrup Kristensen has dedicated his career to tech. As the Managing Director for EU Affairs and Head of Facebook's Brussels office, Myrup Kristensen is responsible for Facebook's representation to the European Institutions. Prior to his current role, Myrup Kristensen spent represented Facebook in a number of member states as well as countries outside the EU in the role of Director of Public Policy, Nordics, Central &amp; Eastern Europe and Russia. He spent several years working for Microsoft and is a former special advisor at the Danish Ministry of Science, Technology and Innovation. Urmas Paet is an Estonian Member of the European Parliament. Paet is a specialist on foreign and security policy issues and has joined the Foreign Affairs Committee in the European Parliament. He is also the rapporteur of the 2018 Cyber Defence Report. The report called on member states to step up their cyber defence capabilities and work together more closely. Before joining the European Parliament, he was the longest serving Foreign Minister in Estonia of almost ten years. Paet has also served as Estonia’s Minister of Culture. As a Senior Policy Coordinator for NATO’s response to countering hybrid threats, Sophie Roberts provides guidance to wider NATO stakeholders. She runs the NATO HQ Hybrid Network which brings together practitioners and subject matter experts on countering hybrid threats. She is currently taking forward the establishment of NATO’s Counter Hybrid Support Team concept welcomed by Allied leaders. Prior to joining NATO, Clare worked at the Western European Union where she helped set up its Politico-Military Group and was the headquarters point of contact for the WEU’s demining assistance operation in Croatia and a multinational advisory police element in Albania. This event is exclusively for Friends of Europe's members, EU institution representatives and media. For more information, please contact Antonia Erlandsson, Programme Manager at Friends of Europe.